When Niccolo Machiavelli first came up with the idea that cruelty could be rightly or wrongly employed in governing a country, he may have had Nigeria in mind. According to him, ‘cruelty is used well‘ (if it is permissible to talk in this way of what is evil) when it is employed once for all, and one’s safety depends on it, and then it is not persisted in but as far as possible turned to the good of one’s subjects. Again, cruelty badly used is that which, although infrequent to start with, as time goes, rather than disappearing, grows in intensity. Unfortunately, this is where we are today. Going by the records, Nigerians in case after case after case witnessed situations where politicians/leaders came up with policies aimed at starving hapless civil servants/pensioners to their early graves. And security agents take laws into their hands without thinking of the long and short-term damage their act of impunity has on Nigerians and the watching world. A reality that testifies that our ‘moral principles have lost its distinctiveness’. But very seriously, there has never been an act of cruelty in recent times more horrifying in intensity than the attack by the Nigerian army on the protesting Shi’ite Islamic group in Abuja that left dozens of the protesting members of the group dead, while the Nigerian Army claims they resorted to such actions because its men were pelted with stones by the group. Admittedly, as argued by Nigerians with critical minds, ‘hurling rocks at military men carrying live ammunition and unprepared for anti-riot missions is not respectful of the lives of those men who were only doing their jobs, or the lives of others going about their innocent activities, who may have been killed or injured during those clashes’. Very instructive also, as a citizen that is eminently committed to the Nigerian project, I am not unmindful of the role/sacrifice the Nigerian military is making daily in; defending Nigeria from external aggression; maintaining its territorial integrity and securing its borders from violation on land, sea, or air; suppressing rebellions and acting in aid of civil authorities to restore order. That notwithstanding, Nigerians with discerning minds and of course the watching world are finding it difficult to believe this account as presented by the military- as it was riddled with incongruence and bears the customary emblem of impunity/cruelty that is deeply rooted in our country. Presenting the reason for their action as vague, variable and ungraspable is the gully of discrepancy between the action of the protesters and the reaction of the soldiers (hurling rocks at military men versus the military use of live ammunition on the people). In objective opinion, the latter can never be the consequence of the former. Without minding what others may say, from the analyses of the military action, it is easy to situate by the watching world that genuine/civil actions the military should have taken to avert the unfortunate incident were lengthy. For instance, Nigerians with a critical interest have argued that as a global practice; in any military/civilian disagreement, the military apart from being reminded not to face the ‘enemy’ head-on but instead, shape their ground, narrow their course of action and lead them where they (the military) want, are daily reminded as part of the training that victories in one hundred battles is not the most skillful. But subduing the ‘enemy’ without battle is the most skillful. 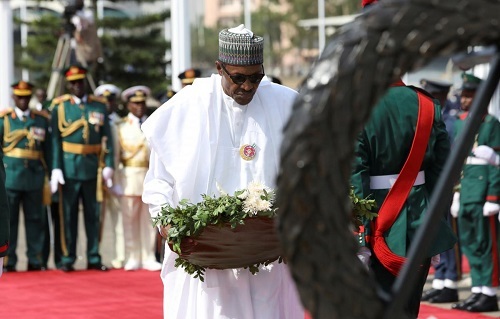 Obviously, the military’s inability to observe any of these time-honoured safety measures have in this writer’s view mirrored Abuja’s episode as a pragmatic demonstration of impunity/cruelty which has become a native and has further provided an answer as to why the peace-quiet agreement among men, harmony and satisfaction in all its tendencies, both outer and inner repose has departed the nation. 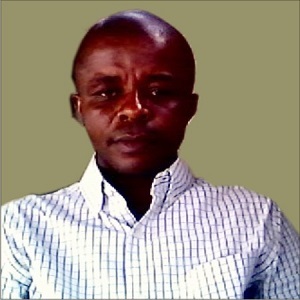 From the incident, it is also not impossible to deduce that the military as an institution and Nigerian government has learned no lesson from similar past mistakes as the nation had in recent times traveled this road too much, journeyed through this part consistently without result, yet refused to make a detour. Lamentably, all these travels/journeys shared a common outcome called chaos and left in their trails sorrows, tears and blood-unfortunately, here we are again. Particularly, it could be recalled that it was the nation’s security agency’s failure to manage issues such as this that led to the emergence of the now dreaded Boko Haram. Secondly, it will be highly rewarding if the Federal Government and its security operatives recognize the fact that the act of killing fellow citizens or being pitiless cannot be called prowess. Notably, such a feat can win the government power but can never win them glory. In view of the above facts, as somebody that is deeply committed to the Nigerian project and an advocate of continual upgrade of the country’s defense capability as new technology; especially as new information technology is incorporated into weapon systems, but with the event of the past week, it has however raised the need to also engage highly trained people who can integrate the various arms into one system and know when to operate them effectively. Interestingly also, Nigerians recently heard Mr. President say that he is depressed about the killings going on in different parts of the country. But to effectively put such gruesome killings to an end, it is this writer’s position that it will among other things require Mr. President, as expected of every leader to study history, to study the actions of eminent men (leaders), to see how they conducted themselves and to discover the reason(s) for their victories or their defeats, so that he can avoid the latter and imitate the former, especially as the nation is fast approaching the 2019 general elections.